relaxation place for our customers." Thank you very much for visiting my website of Gangneung Tourist Hotel. surrounding area, It is the best hotel for relaxation. Gangneung Tourist Hotel boasts a beautiful view of mountains and sea lakes Located in the city center of Gangeung city, the center of Yeongdong area, Conveniently accessible to sightseeing spots and surrounding area, It is the best hotel for relaxation. 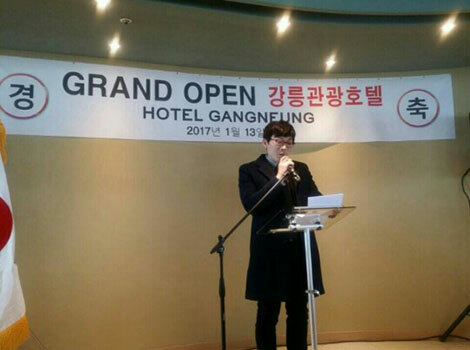 manager of Gangneung Tourism Hotel. will open on January 13, 2017. We welcome you. transportation network We will provide a relaxing space. 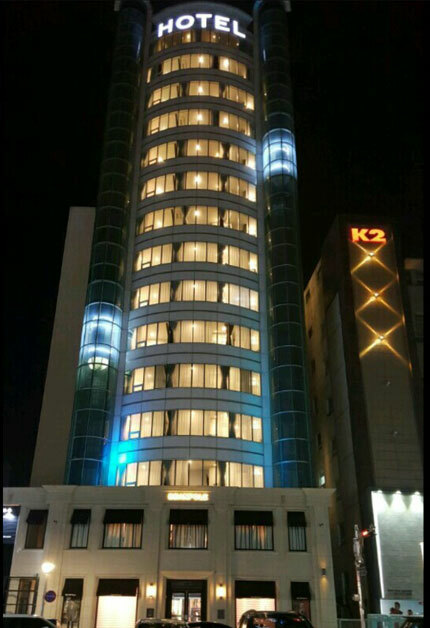 It is a 15-storey tower hotel located in Geumseong-ro 62, Gangneung-si, The Gangneung Tourist Hotel, which has 74 rooms, will open on January 13, 2017. We welcome you. Gangneung Tourist Hotel is located in Namdaecheon The city has an excellent natural environment such as the cityscape, The living space can be viewed at once, and the community hall (6th floor) There is a Sky Lounge (15th floor) where you can have a café and breakfast. There is. Gangneung Tourist Hotel is convenient for business and relaxation. 74 rooms of various types in the city with transportation network We will provide a relaxing space.